State lawmakers in Wisconsin have proposed a bill that, if passed, will roll back a number of tenant protections and set a new standard for landlord-friendly rental laws. 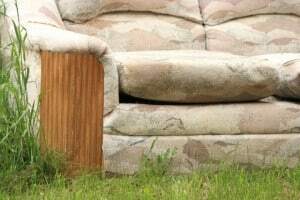 The bill, introduced last week in the state’s legislature, includes a provision which would eliminate the requirement that a landlord store a tenant’s abandoned personal property for at least 30 days. The bill eliminates many of the procedures under current law for disposing of personal property that a tenant leaves behind and provides that the landlord may presume that the personal property has been abandoned and may dispose of it in any manner that the landlord determines is appropriate. The tenant is responsible for any costs that the landlord incurs with respect to the property’s disposal. Another highlight of the bill is a provision which requires the tenant to contact the landlord in writing regarding any building maintenance issues and allow the landlord a reasonable time to respond before the tenant can complain to local authorities. A landlord will be allowed to recover damages for a tenant’s failure to vacate at the end of a lease. A landlord can collect twice the rental value of the premises for the time that the tenant remained in possession, or greater damages if proven. The bill also clarifies that the landlord may seek and recover any other damages to which the landlord may be entitled. In a case where the landlord filed an eviction against a tenant for nonpayment of rent, accepting the past due rent will not automatically be grounds for the eviction to be dismissed. The bill would also eliminate local rules which place a moratorium on evictions. This provision is directed at local laws which prohibit evictions near holidays. Lawmakers held a public hearing on the bill last week. The bill’s sponsors say that it will save local governments time and money, and prevent unnecessary conflict between landlords and tenants.